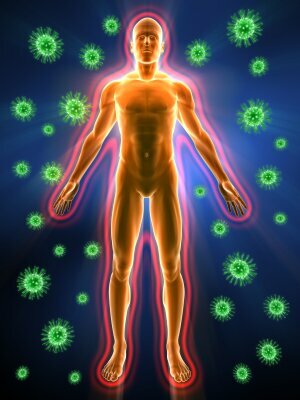 The Immune System is amazing and keeping a healthy immune system is absolutely vital as it deals with millions of bacteria and viruses every day to keep us feeling good. Our immune system has many different parts that work together to keep out harmful bacteria and viruses, and attack and destroy any which manage to get inside your body. As our body comes into contact with millions of substances each and every day – some good and some bad, it is our immune system that determines which of these items are harmless and which substances pose a threat. however if your immune system is not acting appropriately, it may attack your own body as if it were the enemy, resulting in a number of symptoms that can lead to illness. As an example, allergies are caused by the immune system over-reacting to something that is not really a threat, such as pollen or milk. As a result, your body reacts by activating its natural defense mechanism in the form of symptoms such as itching, coughing, wheezing, asthma or other irritations. 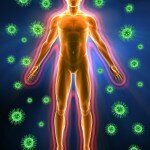 Stress has been scientifically identified as one of the leading causes of a deteriorating or unhealthy immune system. Stress may be either internal (psychological), or external (substances, chemicals, temperature, etc.) It is the complex relationship between our neurological system and our endocrine system that determines our body’s ability to deal with the stress and the results that are experience if these systems are not working effectively. It is when these systems are not working at optimal level that disease and associated symptoms often result. 1. Structure:The cells and the organs, bones, muscle, skin layers, blood vessels, nerves and other physical structures that they form. 2. Liquid: The intra and intra-cellular liquids that play important roles in the generation of electrical energy. 3. Electrical charge: The charge responsible for activating the body and its structures. It is called the “life-force”, life energy, spirit or electromagnetism. the Chinese refer to this as “chi”. Of the three components, the last – electrical charge is least understood, since it presence is not immediately obvious to the naked eye. Electrical energy is detected only in a roundabout way, because it is most obvious when it is absent. If there is partial absence of energy in the body, weakness or disease invades. Just as your car’s battery provides life to your vehicle, a weakened or dead battery will cause your vehicle to malfunction and experience problems. Until you recharge or replace your battery, allowing energy to flow freely through the system, your vehicle will remain weakened. This premise also rings true with your body. In the optimal health illustrations, energy is allowed to flow freely through the body. As build up begins to accumulate in the form of stressors (internal or external), the energy becomes constricted and the body begins to feel the effects. Learn how you can use holistic healing to maximize your energy levels and strengthen your immune system. Contact BioVeda today!